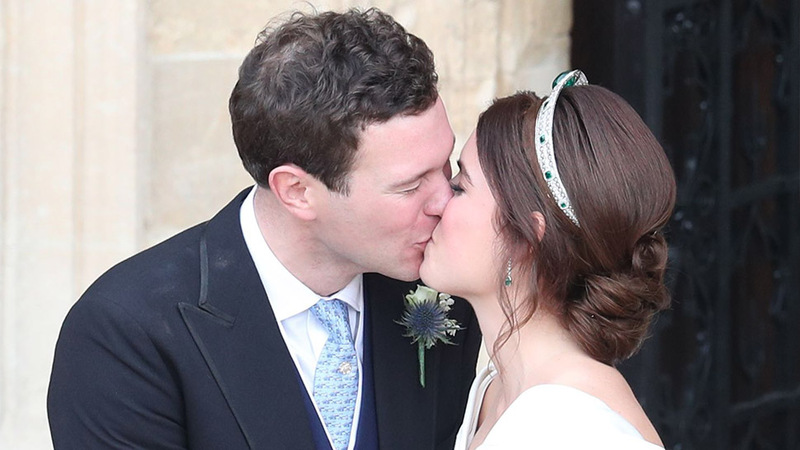 Princess Eugenie and Jack Brooksbank just shared their first kiss as husband and wife. The royal couple were married this morning at St George's Chapel in Windsor Castle, having announced their engagement in January of this year. You can watch the adorable moment of their first kiss outside the chapel below. 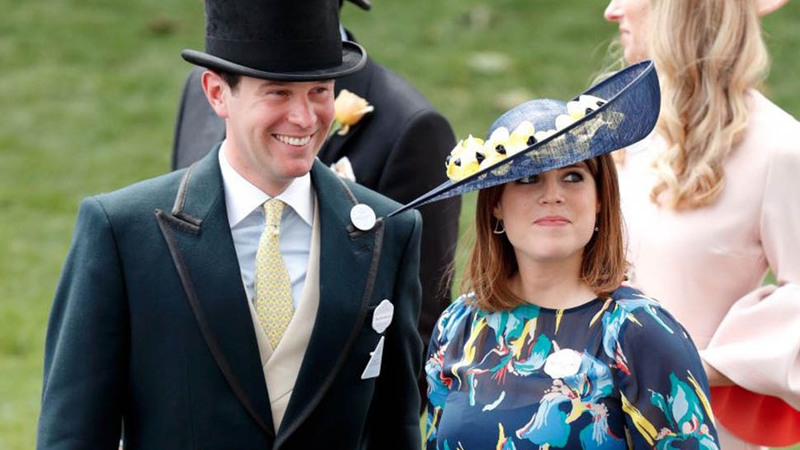 Eugenie and Jack have been together since 2010, when they met on a skiing trip in Verbier, Switzerland, a popular holiday destination for the royals. 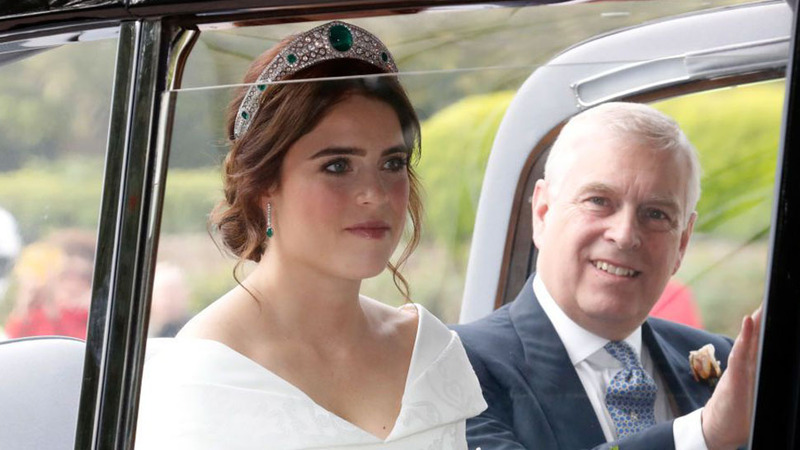 Eugenie was walked down the aisle by her father, Prince Andrew, who is the third child of Queen Elizabeth and Prince Philip. 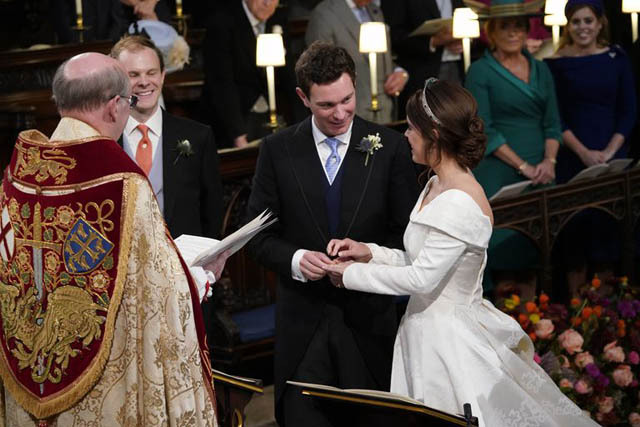 The wedding ceremony was led by the Dean of Windsor, the Rt. Revd. David Conner, who gave the address and officiated the vows. 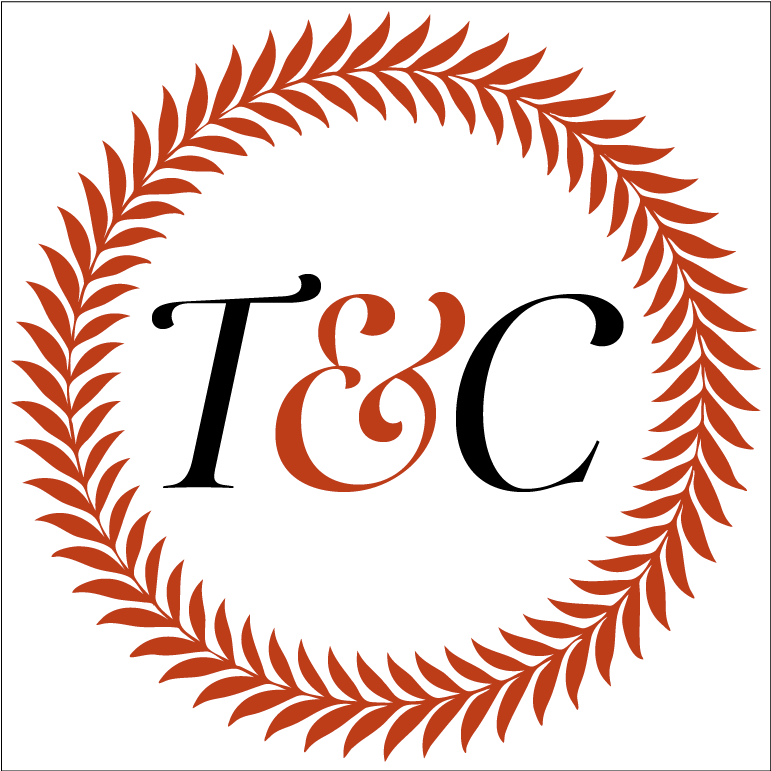 The service also featured a personal prayer written by Rt. Hon. John Sentamu and the Archbishop of York, who led the prayers. 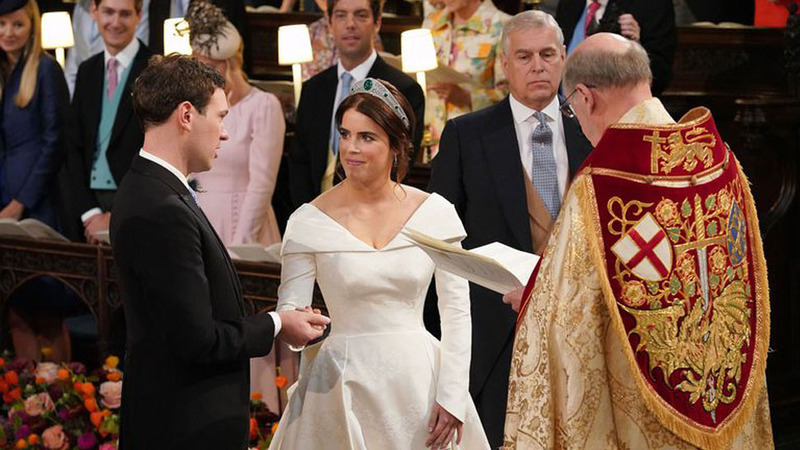 Jack and Eugenie invited 1,200 members of the public to celebrate inside the grounds of Windsor Castle, including representatives from charities supported by the couple. Following the ceremony on Friday morning, the couple proceeded to their carriage and made a procession around Windsor. 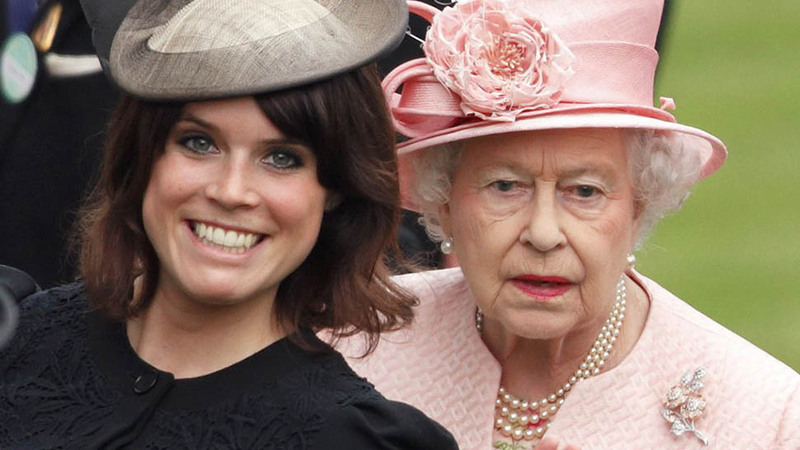 The Queen is hosting a private reception at Windsor Castle this afternoon, where friends and family will gather to celebrate the bride and groom. 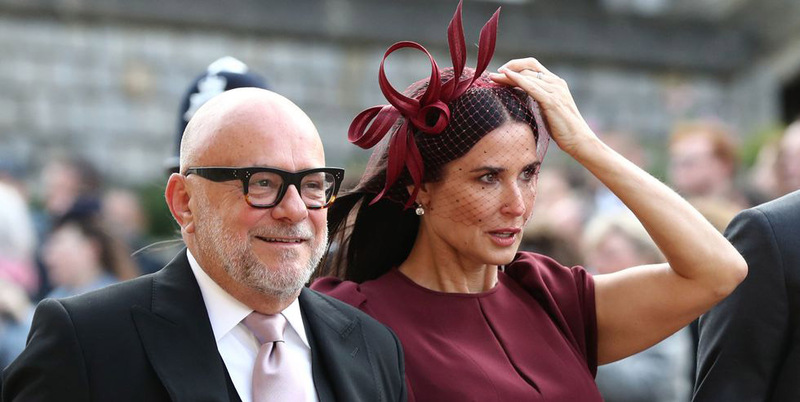 The couple will then attend a second reception at Windsor Lodge, hosted by Eugenie's parents, the Duke and Duchess of York.